This Halal version of Bolognese meat sauce is great for making in large quantities and freezing. You can make up to 20 times the recipe and frozen in four-cup (1 litre) servings for your family to enjoy the pasta sauce over and over without having to start from scratch each time. If making bulk recipes, be sure to simmer for hours, or even a full day, occasionally stirring up from the bottom of the large pot to ensure the contents at the bottom does not burn, adding stock as needed to keep the right consistency. The goal is to have the flavours mix and make the home smell delicious! 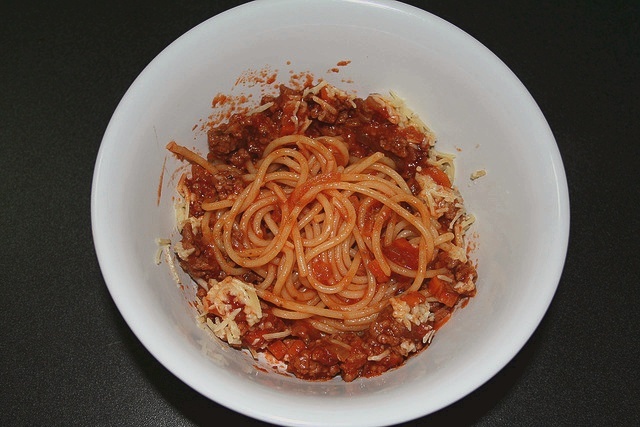 I like this bolognese recipe, and is similar to what I’ve been doing for years. But i don’t use red wine. I use freshly ground clove and cinnamon to my recipe.